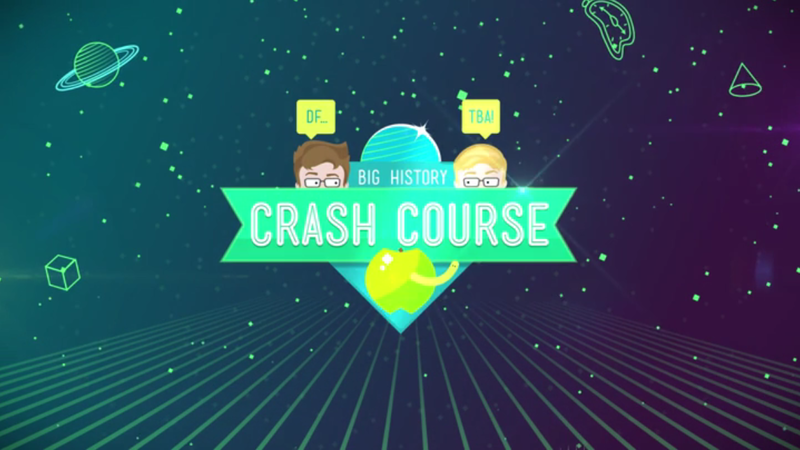 CrashCourse is a popular YouTube channel that gives a 10-15 minute breakdown of any concept or topic: from American history, to ecology, to English literature – and now Big History. As a lecturer in Big History at the University of Amsterdam, I had the pleasure of collaborating on a 10 episode series that surveyed 13.8 billion years, plus the deep future of trillions of years to the ‘end’ of the Universe. In the series, our hosts John and Hank Green explore some of the broad overarching trends that stretch across the entire cosmic story: from rising complexity, to collective learning, to various forms of biological and cultural evolution. They also find time for some philosophy: reflecting on how the grand narrative of 13.8 billion years forms a huge part of our identity, what it tells us about human society and the virtues and vices of the human character, and ultimately what it tells us about our brief flickering existence in a Universe headed toward Heat Death (as far as we know). It was amazing to partner up with John Green and then forge a partnership with the Big History Project. I hope the videos are useful for getting your feet wet when you start (or review) any part of the course. I also hope they are useful for your contemplation of the cosmos when you lay awake at 2am pondering ‘life, the Universe, and everything’.